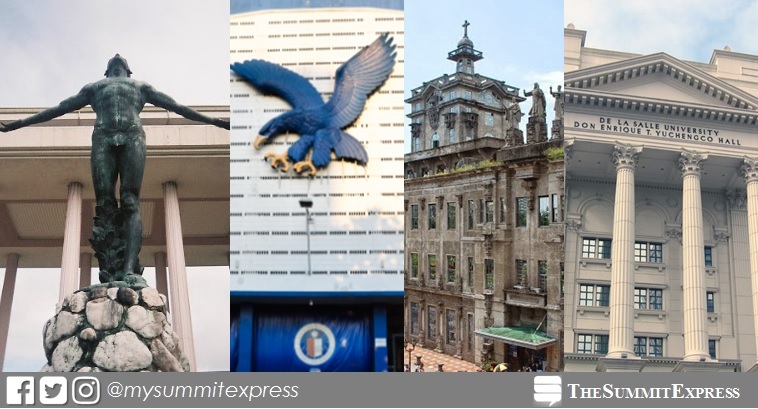 MANILA, Philippines – University of the Philippines - Diliman (UPD) dominated once again for four straight years the list of most popular colleges and universities in the Philippines. This is based on the 2019 Philippine University Ranking, a non-academic result revealing online popularity as released early February by UniRank (formerly 4 International Colleges & Universities or 4icu.org), an international higher education search engine and directory reviewing accredited institutions in the world. University of the Philippines (UP) - Diliman is still the most popular school in the country according to UniRank. "University of the Philippines Diliman (UPD) is a large (uniRank enrollment range: 20,000-24,999 students) coeducational higher education institution. This 111 years old higher-education institution has a selective admission policy based on entrance examinations," UniRank said on their website. Ateneo de Manila University (ADMU) reclaimed the second spot from University of Santo Tomas (UST) with the latter now on third place. De La Salle University (DLSU) Manila and University of the Philippines System (UPS) were ranked fourth and fifth, respectively. Completing the top 10 are Polytechnic University of the Philippines (PUP) - Manila, University of the Philippines (UP) - Manila, Mapúa University - Manila, University of San Carlos (USC) and Ateneo de Davao University. In Asia, Shanghai Jiao Tong University topped the League Table of the top 200 Universities. The Fudan University, previous year's no. 1, came on fourth place. Peking University, Tsinghua University and Zhejiang University on 2nd, 3rd and 5th spots, respectively. Meanwhile, Massachusetts Institute of Technology, Harvard University and Stanford University in the United States dominated anew this year's global ranking. According to their website, the uniRank University Ranking aim is to provide a non-academic League Table of Universities based on unbiased and valid web metrics rather than data submitted by the Universities themselves: Moz Domain Authority, Alexa Global Rank, SimilarWeb Global Rank, Majestic Referring Domains and Majestic Trust Flow. This is especially intended to help international students and academic staff to understand how popular a specific University or College is in a foreign country. Unirank's web-based, non-academic University ranking has been published since May 2005. Since its inception, the "ranking methodology has been periodically fine-tuned in order to provide better results." Do you think your school was accurately ranked based on online popularity? Tell us in the comments.